“Wildfire Johnny” is the story of a man who discovers a magic razor that allows him to travel back in time. “Scroll Through the Weapons” is about a couple taking care of their underfed and almost feral nieces and nephews. “Signal to the Faithful” follows a boy as he takes a tense road trip with his priest. And “Baby, You’re Gonna Be Mine,” the title story, is about a narcissistic rock star who moves back home during a rough patch. These stories all build on each other in strange and remarkable ways, showcasing Wilson’s crackling wit and big heart. 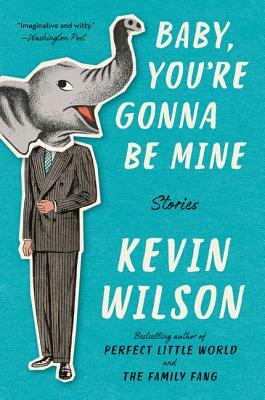 Filled with imagination and humor, Baby, You’re Gonna Be Mine is an exuberant collection of captivating and charmingly bizarre stories that promise to burrow their way into your heart and soul.